Dr. Sushma Bhadauria always appreciates feedback from her valued patients. To date, we’re thrilled to have collected 45 reviews with an average rating of 4.96 out of 5 stars. Please read what others are saying about Dr. Sushma Bhadauria below, and as always, we would love to collect your feedback. 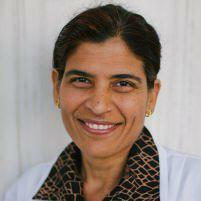 Dr. Bhadauria is kind, patient, and knowledgable about all stages of women's lives! Trust her! Dr. Bhadauria was very patient and listened to all of my concerns, taking a considerable amount of time to sit with me in order to make sure that nothing was wrong. Very understanding about my being late. Completely explained everything. The staff was just as wonderful and everyone made sure I was very comfortable for my first visit ever. Thank you so much. Dr. Bhadauria was warm, empathetic and professional. She took the time to explain exactly what she was doing, why and what I could expect. And, so rare these days, instead of typing everything into a laptop, she looked at me as we spoke, and took the time to both ask question and answer mine. Everyone in the office was also attentive and helpful. I couldn't have asked for a better experience. Dr Bhadauria is very kind and knowledgeable. She explained everything clearly including all the options for my condition and respect my decision about what l want to do. I'm so glad and happy having her as my OB doctor. As all women know, switching to a new gynecologist is a very awkward and uncomfortable situation. I had been going to the same lady since I was 18 back home! I recently moved to CA from VA and was sent to Dr. Bhadauria on recommendation. I was very nervous about having a new person checking out my area, but Dr. B made me feel very comfortable. She was extremely kind and reassuring. She even gave me recommendations on primary care physicians since I'm new to CA and hadn't had much luck finding anywhere. For any women looking, I highly suggest making an appointment with Dr. B.
Dr. Bhadauria was extremely kind, attentive, and answered all of my questions. Lovely doctor, took her time and was very knowledgable, approachable, and thorough. Thank you. Dr Bhadauria is kind + clear while giving complete information. I feel I am in great hands when I am here. I enjoyed the great service and meeting Dr. Bhadauria. Dr. Bhadauria was very friendly, patient, and took the time to answer my many questions. Thank you! I really enjoyed my first appointment with Dr. Bhadauria! She was very easy to talk to and knowledgeable about her field. Dr. Bhadauria was very personable and put me at ease during my wellness exam. Always fast, easy and friendly! Dr. Bhaduria is at once no-nonsense and enthusiastic. She always seems genuinely pleased that my pregnancy is going well and answers my questions very clearly and quickly. Her front desk and support staff are very kind and efficient as well, and the whole office has a pleasant atmosphere. On the whole I find my monthly visits for pregnancy to be quick and informative, but I also think that if I needed some hand-holding, I could expect that from Dr. Bhadauria and her staff as well. Excellent Doctor i have ever seen who is very patient and co-operative. Dr. Bhadauria and her staff are wonderful. I'm so glad to have found her practice!